The SRS1000 T is ultra compact and portable. It is an exceptionally easy to use, affordable research instrument. Despite weighing only 2kg, it provides accurate soil flux measurements and 10 hours of battery life. A new, large, colour, touch screen display makes the SRS1000 T even easier and faster to operate. Integrated GPS ensures that the location of each field measurement is known. Longitude, latitude and altitude coordinates are stored along with gas exchange data. 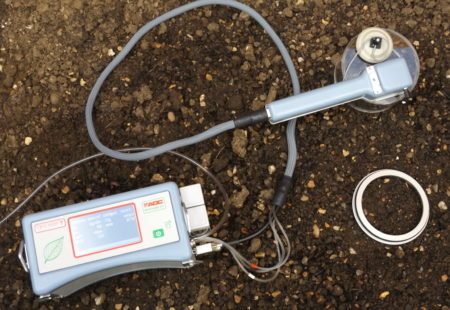 The highly accurate miniaturised CO2 infrared gas analyser is housed directly adjacent to the soil chamber, ensuring the fastest possible response to gas exchanges in the soil. The chamber has been carefully designed to minimise boundary layer effects and alleviate pressure differences that can suppress CO2 exchanges. 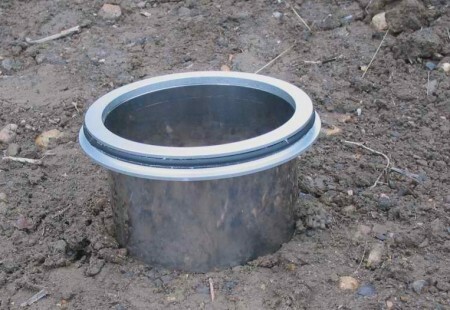 For repeated measurements of the same area, a stainless steel collar can be installed in the soil to ensure correct positioning and measurement of total soil flux activity.